When entering the site of 32Red online casino, Canadians are amazed at the abundance of red color. However, the name of the casino requires it, and a noble shade does not irritate the eye. 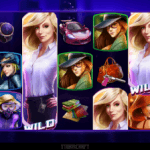 On the main page, you can see the image of a fragment of the roulette wheel on which instead of the usual number "32", there is the logo of the casino. 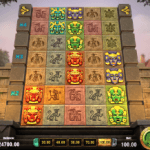 A lot of gamblers are attracted by the eye-catching design and great bonuses. One of the loyal customers of the casino was too attracted to the range of games presented at the site that he spent 750 thousand pounds during 3 years. The betting operator has been fined for doing nothing when seeing that the gambler was losing control. 32Red will pay a huge sum of fine for its inability to protect players from the harmful effects of gambling, and also for the insufficiently active struggle against money laundering. The amount of the fine will be 2 million British pounds. According to the British regulator, in the period from 2014 to 2017, the operator took deposits from one of its players, the total amount of which exceeds 750.000 pounds. At the same time, the company did not conduct any additional checks. 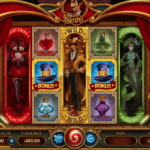 Moreover, 32Red actively encouraged the game of the user with the help of special bonuses. Thus, instead of thinking about the social responsibility, the 32Red warmed up the player's interest in making even larger deposits. When behaving like this, they couldn't even imagine that they would have to pay a much larger fine than the amount of money they have managed to get. 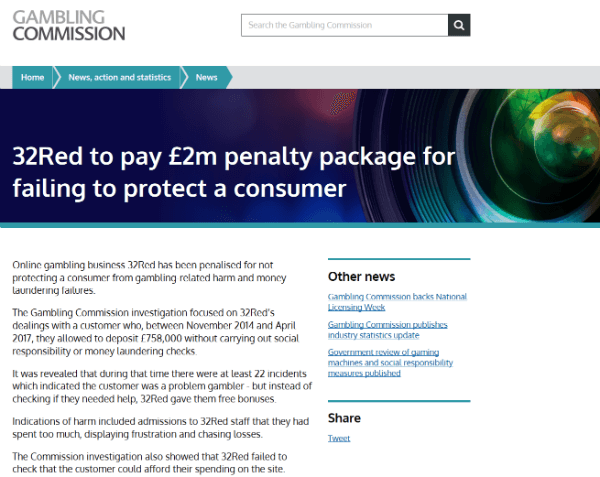 After checking the company's activities, the British regulator came to the conclusion that 32Red's actions were socially irresponsible, and the operator did not protect its user from the harmful influence of gambling. It is well-known that all legit casinos promise to take care of their customers not allowing them to bet too much. The main distinctive feature of the responsible casino is an ability to stop people from wasting money. Legit casino providers are supposed to think not only about their profit but first of all about the healthy society without harmful habits.  Problem gambling behavior is one of the major concerns today. Why did the casino ignore it and didn't take any measures? Does it mean that 32Red can't be considered a reliable game provider that takes responsibility for its gamblers? Everyone has the right to make a mistake. In any case, they are unlikely to fail again as nobody wants to pay a fine of 2 mln pounds. This case will serve as a good example for all Canadian casinos online, which will do their best to control their customer's gambling experience.